The earliest humans in South Carolina, called Paleoindians, are thought to have practiced a lifestyle that carried them far and wide in search of large game species that became extinct as the modern environment took form. Mastodons, bison, sloths, species of camel, horse and tapir were present at that time. The problem with identifying sites occupied by these Paleoindians lies in their low numbers, and highly mobile lifestyle. One assumes that a group constantly on the move would not accumulate excess baggage, and it follows that they would be parsimonious with the things they did carry. When they stopped, they didn’t leave much of anything behind. Evidence from submerged sites shows that a variety of things like textiles, wood, and bone tools were used by Paleoindians and Native Americans from all time periods. But on land sites about the only things that have survived the ravages of time are pottery, stone tools and the flakes produced in making them. For this reason archaeologists tend to go on at great length about pottery and stone. points, however: they are much more common, suggesting a larger population. 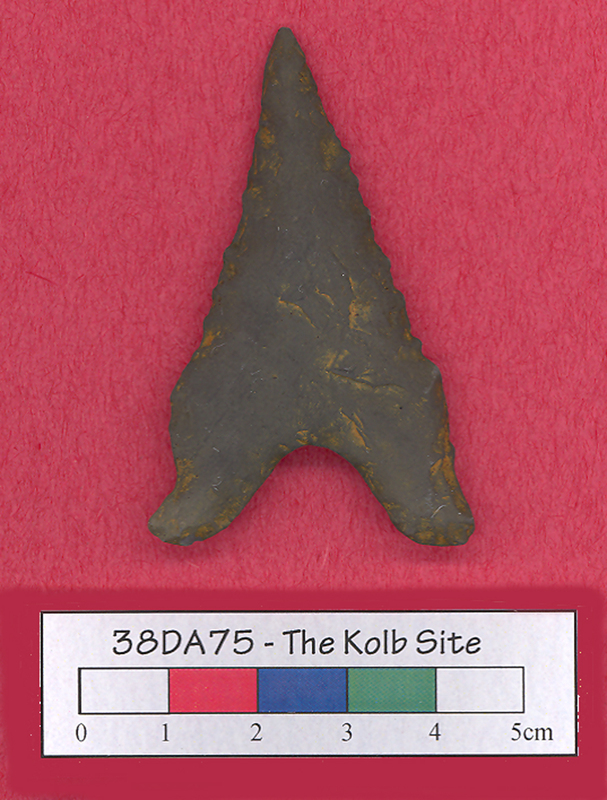 They are found throughout the Great Pee Dee drainage, including the Kolb site. In fact, the Hardaway “type” site, where the type was first defined is located in the Upper Pee Dee drainage. This was excavated by Joffre Coe of UNC in the 1950’s and re-examined by Dr. Randy Daniel. Recent research on the coast near Conway has also yielded Hardaway points demonstrating their presence from Coast to Mountains and beyond. Although Paleoindian points have been found in the same areas, they occur in relatively low numbers.